You know the old saying you are what you eat? Well, it sure is true for the best chicken mascot in the world! Sure the Los Pollos Hermanos in Breaking Bad was a cover up for something bigger, but people sure loved their chicken. The man/woman in the chicken suit was a famous actor that we can not name, or maybe he/she wasn't. But, we can imagine they enjoyed all you can eat fried chicken day and night. Perhaps they preferred sweet and sour chicken, or oven baked bird with vegetables. 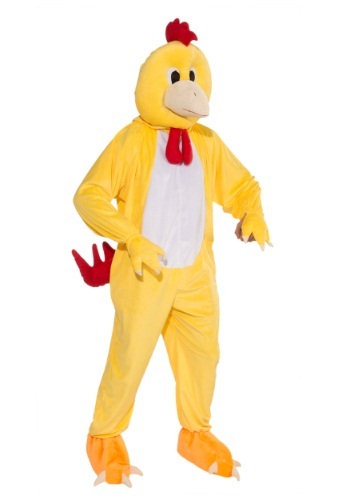 Or, maybe they just liked chicken and were a vegetarian dressed as a chicken to prove a confusing point. No matter why you are dressed like a chicken the Promotional Chicken Mascot Costume is perfect for any occasion. The 100 percent polyester construction has polyurethane foam filling. The jumpsuit has a zipper up the back. The costume comes with cute foot and hand covers that have elastic straps to stay put. The details include a red stuffed tail, comb, and wattle just like a human sized chicken. The mask covers the whole head and has mesh see through eyes to see out of. The best part is the large stuffed beak has a mouth opening so folks can hear you talk. 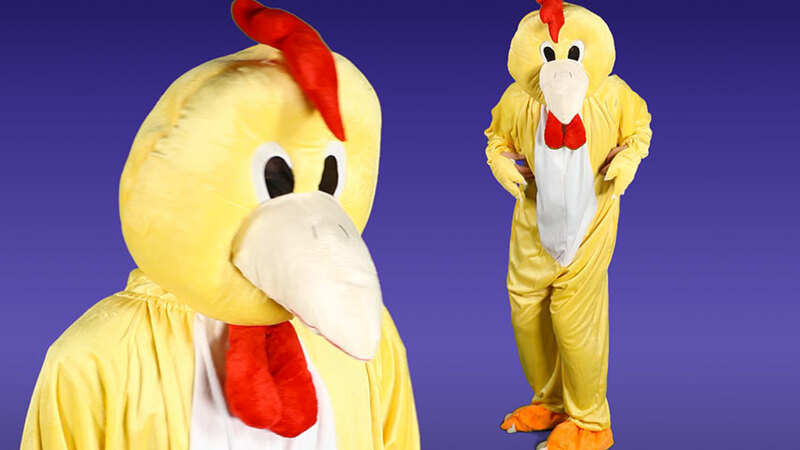 Get ready to do the Chicken Dance dressed as a feathered friend at your next party.